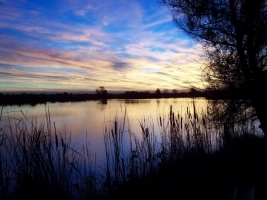 Don’t miss this unique opportunity to explore some of the Great Central Valley habitats at dusk on the Bufferlands. During the tour, participants may have a chance to see beavers, river otters, muskrats, raccoons, owls and more. Please wear appropriate clothing for walking on trails and bring water and binoculars, if you have a pair. Please contact Roger Jones at (916) 875-9174 or email Twilight on the Bufferlands to confirm your reservation and meeting location. Please note, we can only take reservations the week preceding the event. Additional Twilight tours will be on July 16, August 13, and September 18. See www.bufferlands.com for full details and contact info.